= (slang) "Immediate, complete withdrawal from something on which one has become dependent, such as an addictive drug." before being captured and taken to the United States for a trial." The coastal town of Llanelli near Swansea is being targeted by gangs from Birmingham and Liverpool selling drugs like crack and heroin." "From incredible escapes to bribe allegations, smuggling drugs in plastic bananas to spying on his wife and mistresses, here are five astonishing things about El Chapo. The Mexican drug kingpin has been found guilty on all 10 counts at his drug trafficking trial at a federal court in New York." "After nearly three months, the trial of Joaquín “El Chapo” Guzmán ended with the jury’s unanimous guilty verdict on all 10 counts." "Mexican drug kingpin Joaquín "El Chapo" Guzmán has been found guilty on all 10 counts at his drug-trafficking trial at a federal court in New York." Video: Mexico's drug war: Has it turned the tide? + Who is 'El Chapo' Guzmán? "Under a new measure in Michigan, people aged 21 and older can legally possess and use cannabis for recreational purposes. Michigan voters approved the initiative in November with 56 percent of the vote." on the eastern island of Newfoundland amid queues of hundreds of people. Canada has become the second country after Uruguay to legalise possession and use of recreational cannabis." + Video: As Canada makes cannabis legal, what happens to those with past convictions for possession? + Reality Check: Has cannabis legalisation in some US states led to more users? 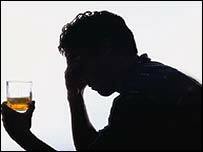 "Many teens who use drugs or alcohol will stop use, but addiction is still a risk. 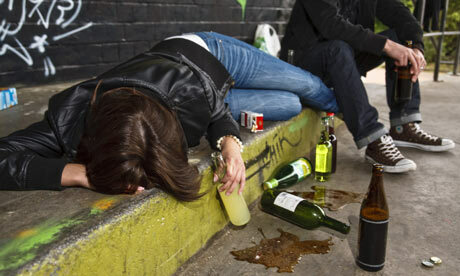 There are many ways to help prevent teens from using drugs and alcohol." "The Home Secretary said cannabis-derived products that meet safety and quality standards will be reclassified by the autumn so that they can be prescribed by specialist clinicians without the need for a special licence." "Chinese officials say they want more information about the flow of powerful painkilling drugs that the U.S. says are coming from China." "United States Attorney General Jeff Sessions has cancelled a federal policy that let American states legalize marijuana." "California has become the largest U.S. state to legalize the sale of marijuana." "The World Health Organization (WHO) says one of every 10 medicines sold in developing countries is either fake or of poor quality. In a report this week, WHO officials said fake or substandard drugs are to blame for tens of thousands of children dying." "In 2016, more than 60,000 people died in the United States because of drugs. That is the highest number of drug deaths and the fastest yearly increase in recorded history. Early data suggests that deaths from opioids and other drugs will continue to rise in 2017." "UK-based dealers in illegal drugs earn more money online than any of their European rivals, research suggests, while US dealers had a 36% share worldwide and took home $5m (£3.8m)." The most potent painkiller on the market, prescribed by doctors for cancer treatment, is being made illicitly and sold on the streets, delivering a super high and, far too often, death..."
"From midnight (08:00 GMT) anyone aged 21 and over was allowed to carry up to 1oz (28.4g) of cannabis, but smoking it in public will remain illegal." "The first international drug treaty was signed a century ago this week. So what was the war on drugs like in 1912?" "This report provides an overview of what is known about how cocaine is produced and trafficked into the European Union. It aims to provide a better understanding of the actors involved, the routes taken, and the scale of the problem in Europe. It also reviews some of the supply reduction responses already developed at European level. Its findings are based on the latest data and analysis available from specialised European and international organisations, NGOs and scholars. This publication is structured in a way that provides a condensed review of key issues relevant to understanding how cocaine reaches European markets. Background information on the chemistry and legal status of cocaine and crack cocaine, as well as key European figures, are also provided." "Sgt. John Terrel, a sheriff’s deputy in Moro, Oregon pulled over a pickup truck with California plates. As he approached the vehicle, a sock flew out the window. The sock was stuffed with marijuana..."
"They have captured a carrier pigeon that was being used to smuggle drugs into a prison." "Drug use is moving away from cocaine and opiates and towards synthetic drugs such as amphetamines, the UN says." "We are asking festival organisers and police to work with us to send out the message that these substances may not be safe and could contain illegal drugs... Some drugs previously sold as "legal highs" have now been banned, including mephedrone, now a Class B drug." "Imagine, 15,000 square feet of warehouse store that's a one stop shopping center for everything you need to grow cannabis. No prescription, no problem, doctors are on site! However, there's one item that won't be on the shelves at iGrow - the plants. " "The 15,000-square foot warehouse is a one-stop shop for everything cannabis cultivation — from lights and fans to fertilizer and additives. An on-site doctor will issue recommendations and technicians will be on-hand to teach prospective growers how to get their roots into the business." How can drug-taking be stopped, asks Clive James. better than narcotics is not an easy job." "Coleridge was an enthusiastic quaffer of laudanum." ""A Chilean man with a broken leg has been arrested at Barcelona airport wearing a 'cast' made of cocaine. "The Mexican navy says it has seized nearly six tonnes of cocaine found inside a 10m-long (31ft) makeshift submarine in the Pacific Ocean." "In sports, doping refers to the use of performance-enhancing drugs, particularly those forbidden by organizations that regulate competitions. Doping is mostly done to improve athletic performance..."
"American Olympian Marion Jones has been sentenced to six months in prison for lying about steroid use and involvement in a drugs fraud case." List of deaths by accidental drug overdose From Wikipedia, the free encyclopedia. "Drugs destroy lives and communities, undermine sustainable human development and generate crime. Drugs affect all sectors of society in all countries; in particular, drug abuse affects the freedom and development of young people, the world's most valuable asset." "An estimated 500 to 600 drug traffickers were hiding in the Complexo do Alemão area of Rio de Janeiro, Brazil. Over several days last week, shootouts between police and gang members left at least 42 people dead and residents terrified. The Big Picture Blog has 40 photographs from the raids. Some may be disturbing." "Take a look inside the brains of mice on drugs! Every drug of abuse has its own molecular mechanism. You'll learn how these various drugs disrupt the synapse to make the user feel "high". 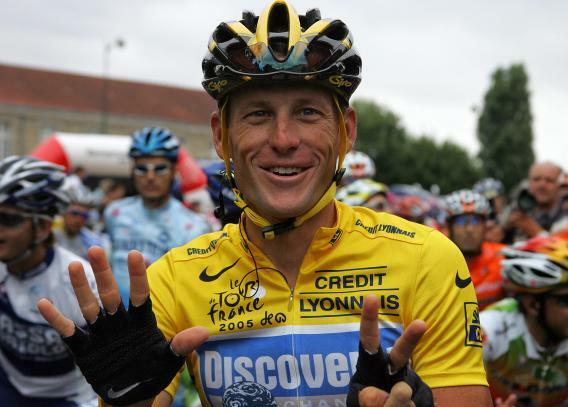 "Should the use of performance-enhancing drugs in sport be legalised?" DRUGS AND THEIR KIN - "Find the drug-related words in the word search activity"
Time to legalize marijuana ? Cold turkey has got me on the run"
Nothing means a thing to me"
"is the slogan for this rollercoaster campaign for the Brazilian Nova Vida rehab centre. The illustration creates a great atmosphere; it fits perfectly for a Rehab Centre. In some parts the poster seems quite fun, but if you look closer the details can be pretty scary." "On 1 January, California became the latest state to permit the sale of recreational marijuana in licensed stores. But three days later, the attorney general issued new guidance calling on states to enforce federal drug laws prohibiting the substance. Despite the confusion, the new shops have been doing brisk business." In an interview for this Sunday's “60 Minutes,” Penn spoke to “CBS This Morning” co-host Charlie Rose in Santa Monica to talk about his seven hours with Guzman." On drugs patrol at US-Mexico border - "This video contains some graphic images." "Busker James Bowen was homeless when a ginger tomcat walked into his life. Since then his book about the unlikely friendship, A Street Cat Named Bob, has sold over 700,000 copies, and been translated into over 20 languages. James and Bob joined Jeremy Vine on the BBC's Andrew Marr Show." "Drug smugglers in Mexico have been caught on video using a device to catapult drugs over the border and into the US."